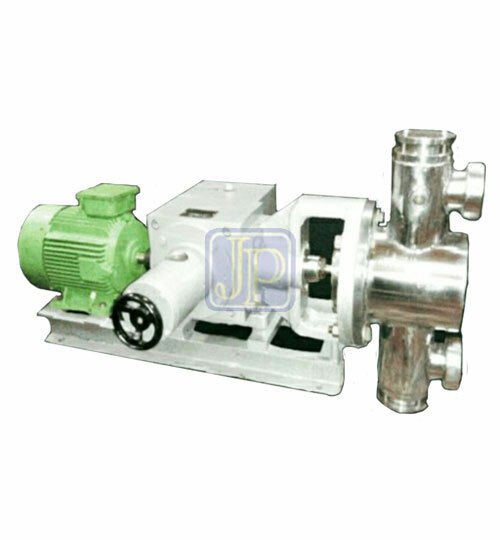 JAKIM PUMPS Manufacturers of steam jacketed metering pump for Molten Liquids / Wax for melting. The jacketed encloses the Check Valves and Gland Chamber. The valves are cartridge type and can be removed for servicing without dismantling the suction and discharge connections. Steam Jacketed Plunger pumps are recommended for high temperature & low temperature & Molten Liquid. Our range covers everything from the single pump to a completed automated metering dosing system with metering range from various capacity and pressure from 2 – 15000 LPH. Pumps can be offered in Simplex Type. The pump discharge is variable. While pump is running or at rest from zero (0%) to full stroke (100%) by means of a precision machined crank equipped with a stroke length adjustment mechanism. The stroke of the pump controlled manually Wetted parts can be offered in S.S. 316 & 304. Steam Jacketed Pumps are used in Chemical plant, Fertilizer plant, Water Treatment plant, Soap plant, paper Industries, pharmaceutical Industries, Thermal power projects, and plastic Industries.